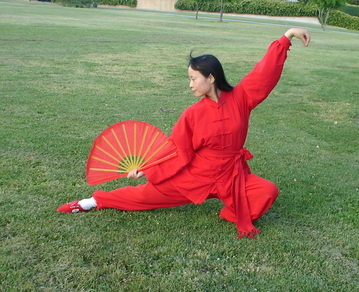 where East and West connects through language, cultures, customs and Tai Chi. 888 East West Cultural Center (888), based in Los Angeles, offers a broad range of services, including Chinese Japanese and English language lessons, Tai Chi classes and Chinese/Japanese/English translation or interpretation. Lessons are available at all levels and are focused on the needs of the students. 888 is founded by Dr.Lulu Smith, who held a full-time position with tenure as full professor of economics in Osaka Sangyo University for 11 years, who previously held full-time positions as assistant professor in two Chinese universities for a combined 4 years, and who taught international finance at Pepperdine University and economics at Pierce College as adjunct instructor for a combined 6 years. Currently, Lulu is teaching Chinese at CSUN. Lulu decided to start up the center so that she can make full use of her ability to do something that can not only benefit herself, but also benefit those who receive the services. © 2011 888 East West Cultural Center. All Rights Reserved.